Someone, somewhere, has to say it and thus confirm what the Pentagon always feared would happen if an international war crimes court were established: that the US harbours war criminals of its own and they have served not that long ago at the apex of power in the American government. No one is going to act like the recently deceased Robert McNamara who served as Secretary of Defence under presidents John F Kennedy and Lyndon Johnson. In one speech, he described himself as a war criminal - for being party to the nuclear bombing of Hiroshima and Nagasaki and for his role in the Vietnam war. The Obama administration has to move faster. 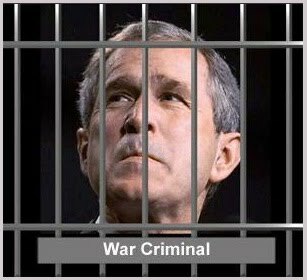 After a furious public debate, it has agreed to look into whether senior members of the administration of former president George W Bush should be prosecuted for war crimes including torture. But the process is achingly slow. One wonders if it will end up hitting a brick wall, as did the talk that has gone on for decades about prosecuting the former National Security Adviser and Secretary of State to president Richard Nixon, Henry Kissinger. I can be no judge of the charges made on Kissinger's role in Cambodia, Cyprus and East Timor, but I can speak on Chile which I researched in detail for my book Like Water on Stone (Penguin 2001). Chile was unique in Latin America with an almost unbroken continuous democracy since independence in 1818. But in the presidential election of 1970, a Marxist socialist, Salvador Allende, surprised Washington by winning 36.2 per cent of the vote in the first round. The CIA in an intelligence memorandum observed that the US "has no vital interests with Chile - an Allende victory would not pose any likely threat to the peace of the region". But Nixon and Kissinger hit the roof. Kissinger was minuted as saying: "I don't see why we need to stand by and watch a country go Communist due to the irresponsibility of its own people." A couple of weeks later Nixon, with Kissinger's ardent approval, gave Richard Helms, the CIA boss, the widest possible authority ("a marshal's baton, Helms later called it) to prevent Allende's presidency by any means available. Although the US ambassador to Chile came to Washington and strongly argued to Kissinger and Nixon that a military coup would not be in the best interests of Chile, and although Kissinger later claimed he called off the CIA operation, Chile's chief of staff, General Rene Schneider, who was known to be strongly opposed to a coup, was duly murdered. The assassins were the very conspirators the CIA had funded earlier. Washington followed this with a severe economic squeeze that gave General Augusto Pinochet his opening. After Pinochet was arrested in London in 1998, the ruling by Britain's highest court, the House of Lords, crystallised half a century's debate on the legal and political problems of accountability for crimes against humanity. Now, since the vote in Rome in the summer of 1998 approving the statute creating the International Criminal Court, the means are available to try people who are accused of all crimes against humanity, not just torture. Fortunately for Kissinger, it cannot deal retroactively and it is doubtful if the Convention Against Torture can be used as a basis for prosecuting a person once removed. Society should have other means of punishing this man and one way would be to take him off the pedestal on which he now stands. But there need be no reticence about prosecuting senior members of the Bush administration. And if there is, the International Criminal Court should step in and demand their arrest and trial, just as it has with lesser war criminals in Africa.